First brag of the day - MACH5 Chase!!! The teamwork returned in spades today with a second place in Standard and first in Jumpers to finally get that #100 QQ. Such a relief to have our teamwork back! 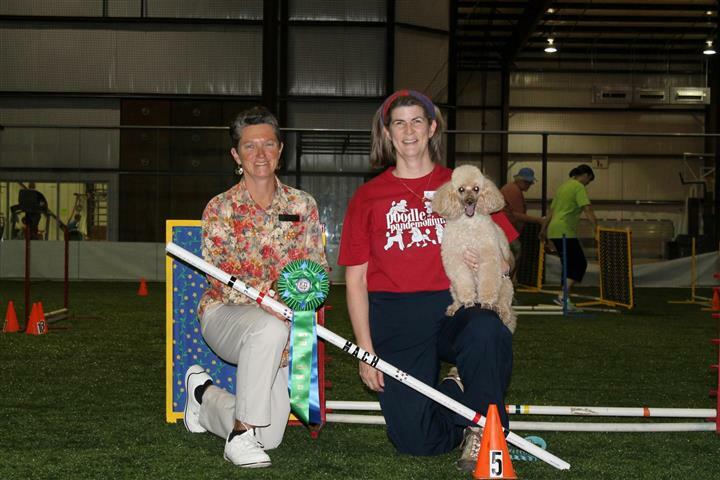 Thanks to Paducah Kennel Club and judge Carol Evans. Thanks so much for the update Linda. Chase looks GREAT!!! Another update on Chase's page in the performance stuff. 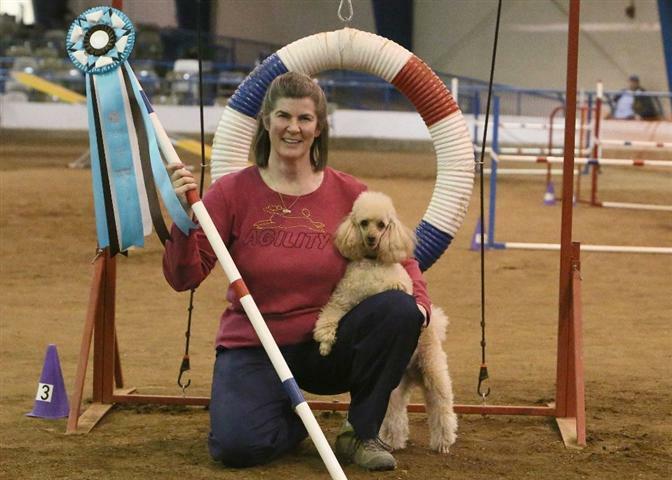 AKC awarded new agility titles to recognize the number of times a dog has qualified in the upper level classes. To date, Chase has qualified 107 times in Excellent Jumpers making him Masters Jumpers Century. He has qualified 93 times in Standard making him Masters Standard Gold. So, his official name is now: MACH3 Barclay Lyca Piece of the Action, RN, MXG, MJC, XF. 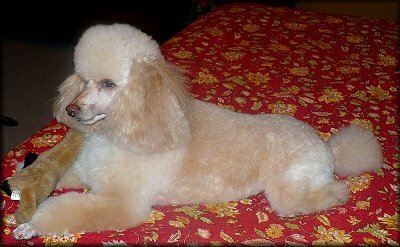 He also is 4 double Q's into his MACH4 and is just points away from qualifying for the fifth time for AKC Nationals. And Another update on Chase! - Chase's update as of April 2008. He finished his MXJ in September and has 7/10 MX legs. So far this year we have gotten 3 double Q's and now have a total of 436 MACH points. To qualify for Nationals we need 6 double Q's and 400 points during the qualifying period. For that goal we have 197 points and the first 3 double Q's. Another update on Chase - he is now up to 6 MXJ legs. 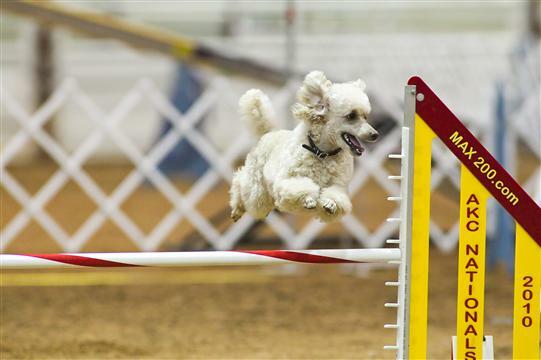 His first MXJ leg was on the anniversary of his first agility trial - not bad for a year of competition. At his first PCA, he earned his 2nd AX leg with a first place and his 5th MXJ leg. Nice PCA! He is getting faster all the time, frequently topping 5 yards per second in jumpers. This little guy is fantastic and that smile is still present in every picture! What a teammate! 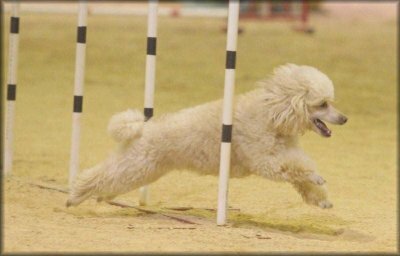 My goal for 2007 is to qualify for the Agility Nationals. 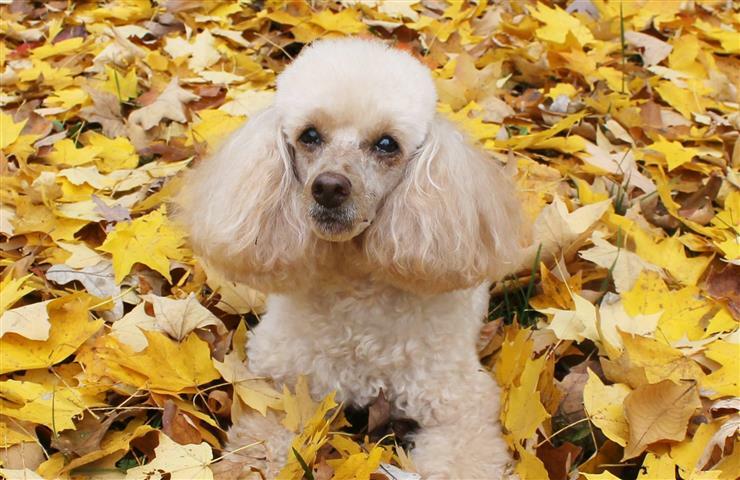 Chase is still doing fantastic. 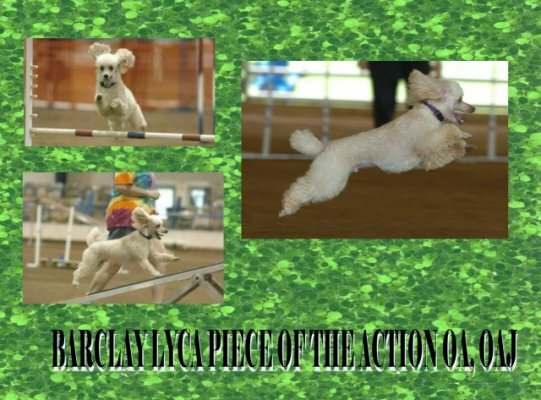 He's now Barclay Lyca Piece of the Action OA, AXJ He got his AXJ in Memphis a few weeks ago. All of his action pictures still are of huge smile. Fast as a bullet and loving it! We'll be headed out to Huntsville two separate weekends in May. I have to brag - my Chase is now Barclay Lyca Piece of the Action OA, OAJ - finishing his OA in grand style this weekend in a total mudbath. The Paducah KC trial is the last remaining outdoor trial we attend and this weekend told us why - inches of rain and slimy sucking mud! - which Chase loved. 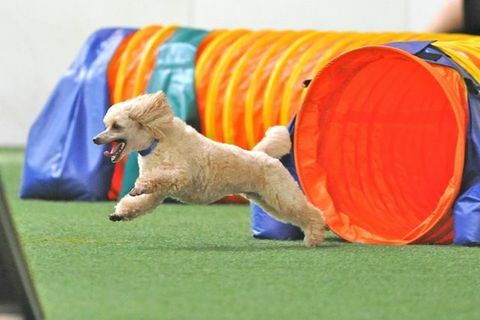 This is a picture from and earlier trial, but shows so well his joy at doing agility!